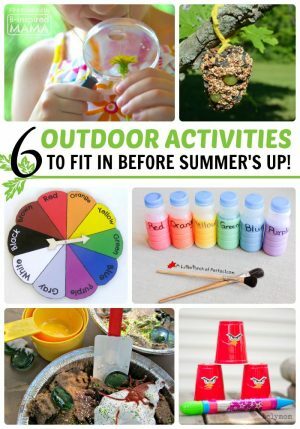 Outdoor Activities for all Spring & Summer Long! Whether we like it or not, nature and outdoor play have a very enticing competitor in modern society. Technology. From the excitement of the newest toy being “unboxed” by their favorite Youtube star to the newest Minecraft mod on their Kindle. My kids are so drawn to computers and tablets and TVs, it can be a struggle to lure them away for some outdoor play. 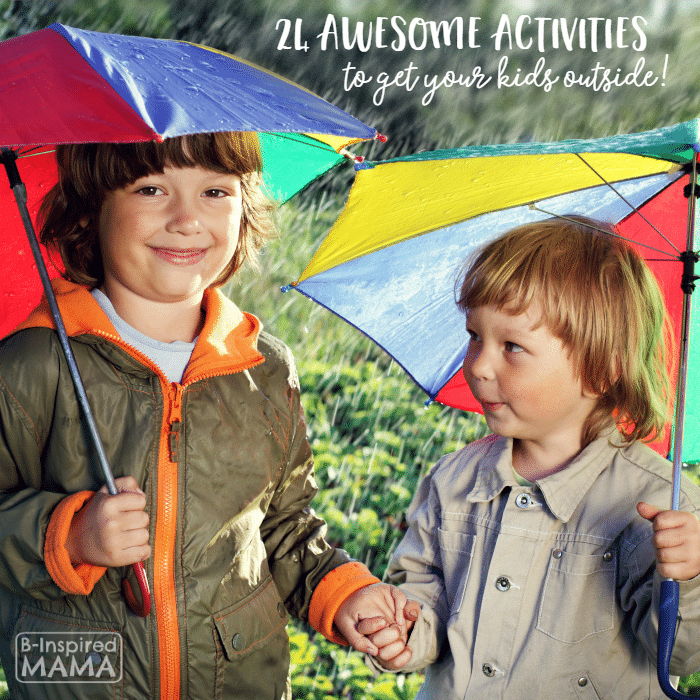 But we all know spending time outside is so important for children. Cardiovascular systems and gross motor skills are strengthened through active physical play in vast outdoor spaces. 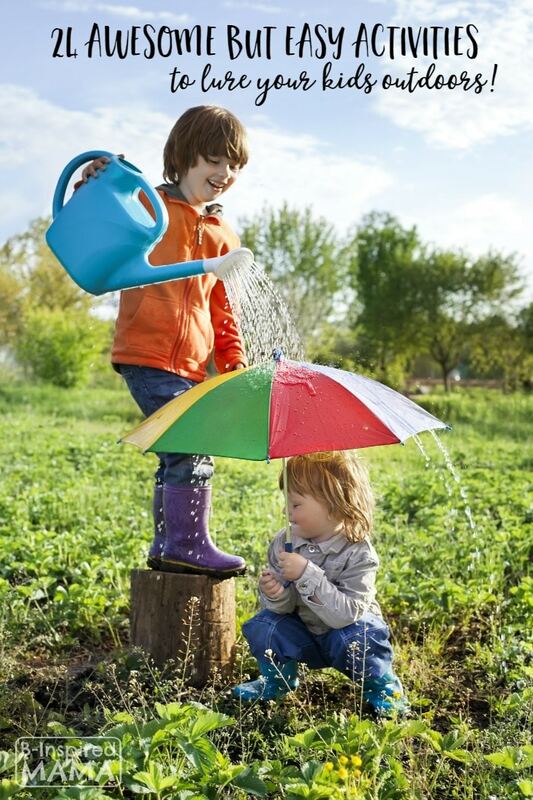 Curiosity and creativity are fostered through exploring nature while playing outside. An appreciation for the Earth and it’s environment grows from exposure to the wonders our outdoor world. Even Vitamin D is absorbed from the warm sunshine. The list of benefits is endless! “In addition to the usual outdoor activities (running, swings, etc. ), my kiddo loves digging in the dirt, making dams, and anything involving sensory play outside!” Mary Catherine of Fun-A-Day! 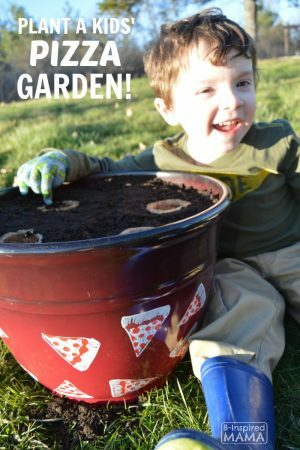 , gardening, and our sandbox. These are just awesome! We would love doing all of them in summer.